Posted on 2 October 2012 and filed under Miscellaneous. Bring the needle and the thread to the front of the fabric. Keeping the needle still, wrap the embroidery thread around the needle several times – depending on how small or large you would like your knot to be. Experiment! Keeping the thread taut insert the needle into the fabric almost at the point where the thread emerges from the fabric. Two things to have in mind while doing this: do not pull the thread too tight around the needle as it might be difficult to push the needle through; do not insert the needle back into the fabric exactly into the point where the thread emerges from the fabric as it might happen that the whole knot simply gets pulled through to the other side of the fabric. 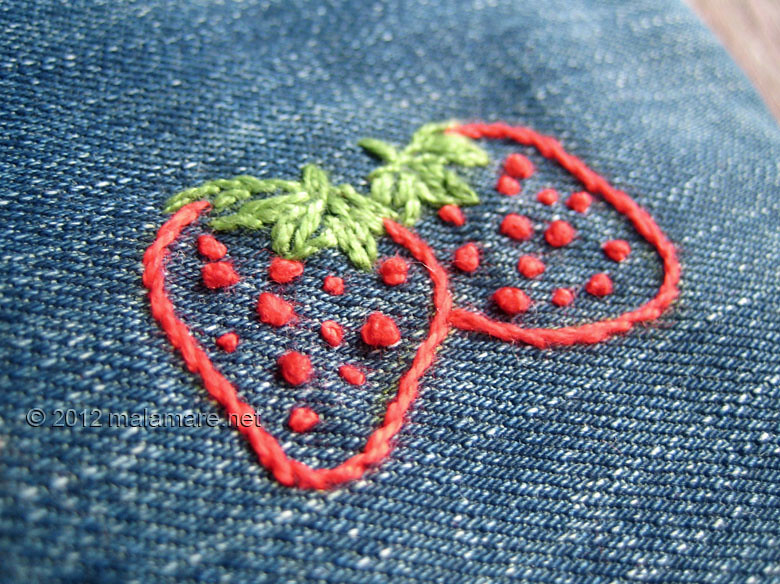 Gently pull the embroidery thread completely through. 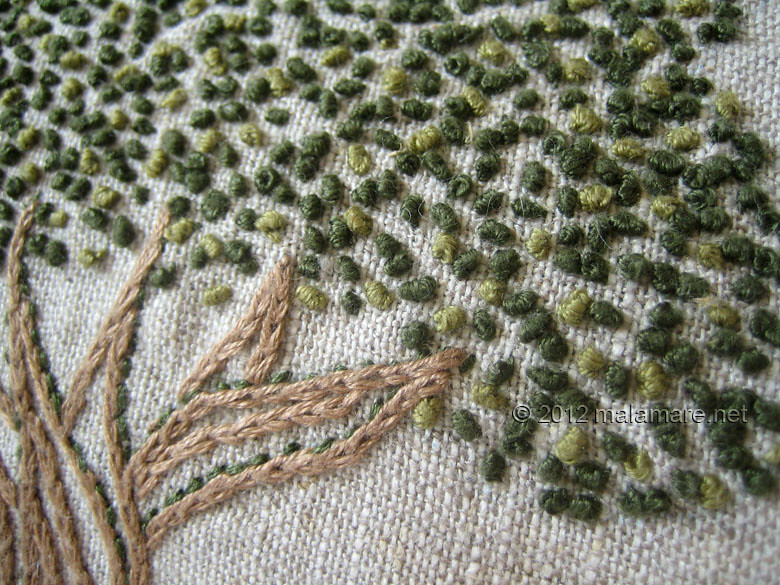 And here you have your French knot! What to use this stitch for? Well, you can use it for making dots, or adding structure and three dimensional surface to your embroidery. Or for whatever tickles your fancy. and on one of Love Bags to make the entire crown of a tree.